Administrative Law Judge (ALJ) Adrienne L. Krikorian, Office of Administrative Hearings, State of California, heard this matter on March 29, 2011, in Los Angeles, California. Attorney David Grey represented Student. Student’s mother (Mother) was present and testified at the hearing. Student made a brief appearance during a break in the hearing but did not attend during testimony. 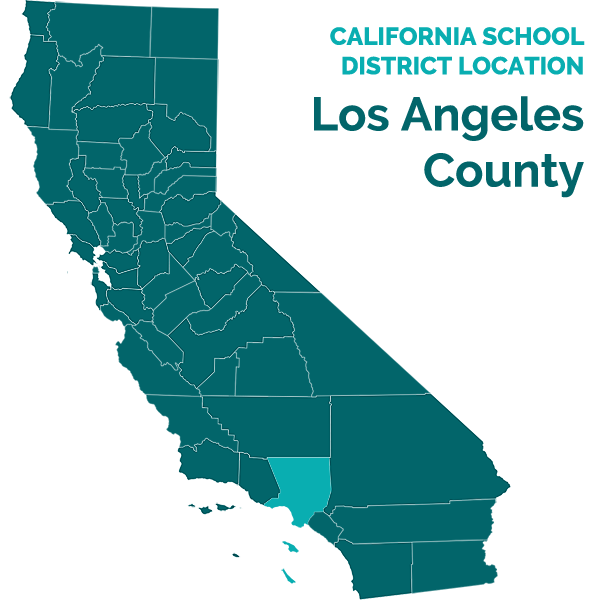 Attorney Patrick Balucan represented Los Angeles Unified School (District). District due process specialist Cynthia Shimuzu also attended on behalf of District. On February 2, 2011, Student filed a request for due process hearing (complaint). At the end of the hearing the ALJ granted a continuance until April 11, 2011, to allow parties time to file closing briefs. The parties submitted their closing briefs within the time allowed, and the record was closed on April 11, 2011. 1. Did the Individuals with Disabilities Education Act (IDEA) impose a duty on District to provide home school educational services to Student outside of District boundaries in accordance with her June 9, 2010 individualized education plan (IEP) (June 2010 IEP)? 2. Did District deny Student a free appropriate public education (FAPE) on and after February 7, 2011, by failing to deliver any educational services to Student? 3. Did District significantly impede Father’s opportunity to meaningfully participate in Student’s educational program on and after February 7, 2011 when District unilaterally changed Student’s educational program and failed to convene an IEP team meeting to discuss alternative locations for delivery of educational services? 1The issues in the complaint have been restated for organization of the Decision. 1. At the time of the hearing, Student was nineteen years and seven months old. During the times relevant to the complaint, she resided with her father (Father) at Father’s residence within the District.2 She received regular day care services at Mother’s home, which is located outside of, but not far from District’s boundaries. She was eligible for special education under the category of Other Health Impaired (OHI). Father had sole custody of and held a power of attorney for her. Although Mother and Father discussed Student’s educational needs and goals, only Father attended Student’s IEP team meetings. Father was self-employed and owned a retail bicycle shop where he worked in the afternoons until early evening. 2. Student’s medical conditions included a suppressed immune system, osteoporosis, partial blindness, and traumatic brain injury. Her medical needs required that she receive regular adult assistance with daily personal needs. She could not be left alone for long periods of time. She was not physically able to receive educational services in the morning hours because of health related issues. Adults who worked with Student were required to maintain careful hygiene practices to avoid compromising Student’s health. Father cared for Student in the morning and transported her to Mother’s home at approximately 12:00 noon to 1:00 p.m. on weekdays. Mother cared for Student without additional adult assistance from approximately 1:00 p.m. until 7:00 or 8:00 p.m. Father picked Student up at the end of his workday. 4. On or about October 10, 2005, District and Father entered into a settlement agreement (Settlement Agreement) regarding Student’s educational program. District agreed to provide Student with home/hospital educational services through its Carlson Home/Hospital School (Carlson), including occasionally delivering services at Mother’s home outside of District boundaries. The Settlement Agreement provided for compensatory home-school hours that were available until October 10, 2006, and that District would hold an IEP meeting on or before May 31, 2006 to review Student’s educational program. District delivered educational services called for in the Settlement Agreement and in her 2006 through 2008 IEPs at Mother’s home. 2The parties stipulated on the record that Student’s legal residence is Father’s home. 3The ALJ took administrative notice of the distance by relying upon distance calculations from Google Maps using Parents’ respective addresses as established by the evidence. 5. Student’s IEP team met on June 9, 2009. Father, special education teacher M. Borisowa (Borisowa), and general education teacher Valerie Kay attended, among other District staff. The June 9, 2009 IEP (June 2009 IEP) identified Student’s home address as Father’s address and that Student “attends School of Residence” which it identified as Venice High School. The June 2009 IEP team recommended as an accommodation the location of services as “Carlson Home/Hospital” and “Home.” Although the June 2009 IEP made no specific reference to Mother’s home as the location for delivery of educational services, as discussed below, District continued to deliver educational services for the 2009-10 school year to Student at Mother’s home. 7. Triplett, who testified at the hearing, has been a teacher with District for 25 years. She has a master’s degree in special education, and holds multiple subject and special education credentials. She has taught students in the home environment since 1994. 8. From the time she first started teaching Student in September 2009, Triplett was instructed by Carlson Principal Joe Salvemini (Salvemini) and Carlson Assistant Principal Marianne Diehl to deliver services 1260 minutes per week to Student at Mother’s home, and Triplett did so during the 2009-10 and 2010-11 school years. Triplett had never been to Father’s home or delivered educational instruction to Student at any location other than Mother’s home. During the time Triplett taught Student at Mother’s home, Student was capable of receiving instruction four hours a day. She benefitted from Triplett’s instruction at Mother’s house and made significant progress in her reading and math skills from the time Triplett began working with Student. 9. Triplett did not recall, and the June 2010 IEP does not reflect, any discussion by the IEP team as to the specific location at which Student would receive educational services. Father consented to the IEP. 10. At District’s direction, Triplett delivered educational services at the start of the 2010-11 school year to Student at Mother’s home in accordance with Student’s June 2010 IEP. 11. Salvemini, who testified at hearing, became Principal at Carlson in 2007. Salvemini has a bachelor’s degree in special education and psychology, and a master’s degree in educational administration. He is credentialed in learning handicapped, social studies, and administration. 12. Salvemini first learned from Triplett during the summer of 2010 that District had been providing educational services to Student at Mother’s home. As a result, Salvemini reviewed Student’s current and prior IEPs, including the Settlement Agreement. Salvemini learned from his review that Student’s IEPs prior to the June 2009 IEP identified Mother’s home as the location for educational instruction.4 He did not know whether this arrangement was a carry-over from the Settlement Agreement or based upon some other reason. 13. Salvemini concluded that based upon the language of Student’s June 2009 and June 2010 IEPs District was only authorized to provide Carlson home/hospital educational services to Student at Father’s home or some other location within District boundaries. Other than a consultation with District’s due process department in the fall of 2010, Salvemini did not receive advice or guidance on the issue from anyone else from the District. He was not aware of any written District policies prohibiting District from delivering educational services to students outside of District boundaries. 14. During the fall of 2010, Salvemini informed Parents that District would provide educational services to Student only within District boundaries, providing that Parents insured that they arranged for a responsible adult to be present at all times. In deciding to withdraw delivery of educational services from Mother’s home, Salvemini relied solely upon the express language of Student’s June 2009 and June 2010 IEPs, which identified Student’s home address as Father’s address. He did not offer to hold an IEP team meeting to discuss changing the location of services. Instead, he informally attempted to designate alternative locations with Parents, including a local library or at Father’s retail bicycle shop. Salvemini did not offer to provide any additional adult assistance for Student’s needs at his proposed locations. He also did not offer to provide services at Student’s school of residence in a dedicated classroom with an adult aide, such as a school nurse. 15. Parents disagreed with the alternatives offered by Salvemini. Father’s home was not a suitable placement for Student’s educational needs for several reasons. Carlson required that a supervising adult be present during the delivery of instruction; Father worked outside of the home in the afternoon and early evenings and could not be present. Mother could not be present at Father’s home to supervise Student three to four hours a day for personal reasons, including the need to be home to care for her other children. Additionally, Parents could not afford to hire a part-time adult aide to assist Student during instruction, the Westside Regional Center could not provide any aide assistance but for short periods of parental respite, and Parents had no relatives in the area who were available to provide supervision. 4The parties did not offer Student’s IEPs prior to the June 2009 IEP as evidence. The Settlement Agreement, June 2009 and June 2009 IEPs were admitted as evidence. 16. Additionally, neither a public library nor Father’s retail store, as offered by Salvemini, were suitable or practical locations for four hours of educational instruction, particularly based upon Student’s medical and physical needs. Student required frequent bathroom visits, with adult supervision and assistance. She did not function well with noise and distractions. She was at significant risk immunologically in public areas. She was not safe working with adults who had recently been around children without appropriate sanitary precautions. While short field trips to public locations with adult supervision would be manageable, delivery of educational services on a regular basis in public areas such as those proposed by Salvemini would not be an appropriate educational setting for Student. 18. Salvemini did not offer Parents the opportunity to participate in an IEP team meeting to discuss Student’s specific placement at any time after he sent the January 28, 2011 letter. Salvemini did not believe an IEP team meeting was required because District continued to offer the home/hospital educational instruction at the address identified on Student’s IEP as her “home address.” Additionally, Salvemini did not consider his decision to terminate educational services at Mother’s home as a change in placement from Student’s IEP. Consequently, Salvemini did not believe convening an IEP team meeting was necessary under IDEA. 19. Salvemini instructed Triplett to stop delivering educational services to Student at Mother’s home effective February 7, 2011, which she did. District continued to offer Student educational services within District boundaries, including at Father’s home, a local library, or Father’s business. Student received no educational services from District after February 7, 2011. 2. In Issue One, Student contends that, as the responsible local educational agency (LEA), District had the duty under IDEA to deliver home-based educational services to her in an appropriate setting, such as her Mother’s home, even if the setting was physically located outside District’s boundaries. In Issue Two, she contends that, when Salvemini decided to terminate services at Mother’s home in January 2011, District did not offer an appropriate placement with adult supervision within District boundaries based upon Student’s unique needs. In support of both issues, Student contends that, although she resided within the District’s boundaries with Father, she received day care services at Mother’s home, which was outside District’s boundaries. She contends that District had historically delivered Carlson services to Student at Mother’s home, and that, based upon Student’s unique needs and in comparison to the alternatives offered by District, Mother’s home was the most appropriate location for Student to receive educational services with adult supervision during the 2010-11 school year. As a result of the above, Student contends that on and after February 7, 2011, District denied her a FAPE. 3. District contends that its obligation under IDEA was to provide educational services to Student within District’s boundaries, and that IDEA does not require District to deliver services to Student outside of District boundaries for Student’s convenience. District further contends that, because the June 2010 IEP identified her residence as Father’s address, District was obligated to provide home-based services at Father’s home or somewhere within District boundaries. District also contends that it did not deny Student a FAPE on and after February 7, 2011 because it offered to provide Student with the educational services set forth in her June 2010 IEP within District’s boundaries, which Father rejected. 9. The LEA is responsible for providing a FAPE to disabled children residing within the district even under unique circumstances where they receive their FAPE in a placement outside the district. (See, Union School District v. Smith (9th Cir. 1994) 15 F.3d 1519, 1524-1525; Taylor v. Honig (9th Cir. 1990) 910 F.2d 627 (requiring a school district to pay for a disabled child’s placement in a residential program outside the district); Ojai Unified School District v. Jackson (9th Cir. 1993) 4 F.3d 1467 (requiring District to pay for disabled student to reside with grandparent outside of the district while attending an out of district placement). 11. Student’s June 2010 IEP governed her educational program, including the location of services, for the 2010-11 school year. The parties do not contend that the June 2010 IEP did not offer a FAPE. Instead, they disagree as to whether, under the IDEA, District had no legal duty to continue providing services outside District boundaries. 12. Here, the evidence demonstrated that the June 2010 IEP team contemplated that District would be providing Student’s services in Mother’s home, despite the ambiguity contained in the IEP about the specific location for delivery of educational services. Specifically, the June 2010 IEP stated that “instruction [would be] provided at home setting,” without including language stating exactly the home setting where District intended to deliver the services. However, District had developed a practice of delivering Student’s educational services at Mother’s home, and the evidence showed that the IEP team had actual knowledge of District’s past practices. Specifically, at least three of the four members of the June 2010 IEP team, Triplett, Borisowa, and Father, knew that Student had been receiving educational services at Mother’s home during the 2009-10 school year pursuant to her June 2009 IEP. At least some of these members also knew that Mother’s home was the only place in which District had provided services since at least October 2005, despite Mother’s out-of-District address. Yet, District team members included no language in the June 2010 IEP, nor advised Father at the IEP meeting, that District would be providing services at a location other than Mother’s home. Most importantly, Triplett, pursuant to District’s instructions, implemented the June 2010 IEP by actually delivering services at Mother’s home. Not once did Triplett provide any services at Father’s home, despite language in the June 2010 IEP listing Student’s home address as Father’s home. 15. As discussed above, District had a duty to provide Student with educational services under the IDEA at an appropriate location, which in accordance with her June 2010 IEP was at Mother’s home for the 2010-11 school year. However, on February 7, 2011, District violated IDEA by unilaterally stopping the delivery of educational services under Student’s June 2010 IEP when Salvemini ordered Triplett to stop providing Student with educational services at Mother’s home. Despite Father’s objections, District did not offer Student appropriate accommodations with adult supervision within District boundaries, such as a dedicated classroom with a qualified supervising adult, school nurse or trained aide. Instead, Salvemini conditioned the delivery of services by demanding that they be delivered within District boundaries, and then offered Parents unsuitable locations within District boundaries to deliver services. Specifically, Salvemini suggested that services be provided in a public library or in Father’s bicycle shop, both of which lacked the requisite sanitary environment to accommodate Student, given her suppressed immune system. Even Triplett credibly confirmed that the alternatives offered by Salvemini were not suitable educational environments given Student’s unique needs. 17. Student contends that District denied Student a FAPE because District significantly impeded Father’s opportunity to meaningfully participate in Student’s educational program when it failed to hold an IEP team meeting before it stopped providing educational services to Student at Mother’s home. 18. District contends that an interim IEP meeting was not required under IDEA because District did not change Student’s educational program. In addition, District contends that it continued at all times to provide all of the educational services called for in Student’s June 2010 IEP at a location within the District boundaries. District further contends that Father never asked for an IEP in order to review placement, and that Father rejected District’s offer of continued educational services within District boundaries. Finally, District contends that, for the above reasons, it did not deny Student a FAPE. 22. Here, as discussed above in connection with Issues 1 and 2, after the IEP team signed the June 2010 IEP and after it was implemented by delivering Student’s educational services at Mother’s home, Salvemini unilaterally and without legal justification instructed Triplett to stop providing services to Student unless she received them within District boundaries. As discussed below, Salvemini’s directive was an impermissible change to Student’s June 2010 IEP that required the input of Student’s entire IEP team, and Father’s consent, before implementation. 23. Salvemini called Parents beginning in the summer of 2010 informing them that he did not agree that District should continue providing a teacher for Student at Mother’s home located outside of District boundaries. Over the next few months, Parents and Salvemini informally discussed District’s proposed locations, including Father’s home, a local library or Father’s bicycle shop. None of the offered options were suitable for Student’s unique needs. Nevertheless, on January 28, 2011, Salvemini notified Parents in writing of his intent to cease the delivery of instructional services to Student, without first calling an IEP team meeting to discuss alternative locations. Particularly because Salvemini knew that Parents disagreed with his decision, Salvemini’s informal communications with Parents were no substitute for holding an IEP team meeting to discuss District’s proposed change to Student’s IEP as required by IDEA. 5All subsequent references to the Code of Federal Regulations are to the 2006 edition. 25. Student contends that because District violated IDEA by denying Father a meaningful opportunity to participate in the decision-making process, and because it denied her a FAPE which resulted in a loss of educational benefit, Student should receive the amount of educational services that she missed from and after February 7, 2011. She also contends that Mother’s home is the appropriate location to receive those services. 26. District contends that it did not deny Student a FAPE, that it continued to offer Student educational services within the District boundaries which Father refused, and therefore it does not owe Student compensatory damages. 1. District shall deliver educational services to Student at Mother’s home on each scheduled day of school, as provided for in District’s school calendar for the school year 2010-11, until Student’s June 2010 IEP is superseded. Mother’s home shall be stay put in the event of any future dispute over the location of educational services. 2. District shall provide Student with a compensatory educational instruction consisting of 4.2 hours per day, or 1260 minutes per week, for each school day identified on District’s School Calendar for the school year 2010-11 that District failed to deliver services to Student, from February 7, 2011 to the date on which District resumes educational services. Student may access each of the hours of compensatory education provided for in this Order at any time mutually convenient to Student and District up to and including Student’s 23rd birthday, unless the hours are exhausted before that date. Education Code section 56507, subdivision (d), requires that this Decision indicate the extent to which each party prevailed on each issue heard and decided in this due process matter. Student prevailed on all issues.